People often ask the questions “which is the best website to find the cheapest flights” or “which airline is the cheapest” but to be honest, I don’t actually think you can name just one. There are many good websites that now allow you to search for flights and each airline has various deals of their own throughout the year that beat their competitors at these specific times. It is worth keeping your eye out for these ‘Special Offers’ as they can save you a large amount of money. Throughout the year, some airlines offer flights with ‘taxes and charges’ included, others offer FREE carriage of ski & sports equipment and others may simply offer discounts on certain flights and destinations. Keeping up to date with these offers will ensure you find the best deals at any one time. The truth is there isn’t one individual website or airline that will offer the cheapest or best deals 100% all the time. I myself use several websites to find the best deals at any one time and I fly with many different airlines throughout the year depending which is the best deal at that time. Using all the points that we discussed in ‘Booking Flights’ and taking those points into consideration, let’s now look at how to find cheap flights online. Now this may sound obvious and a little silly but these two factors will determine how much you pay for your flights and whether or not you get a good cheap deal. Below, we cover two methods of how to find cheap flights and these methods both take into account the two factors mentioned above.. This method is based on the principle that you do not know where you want to go and have no specific destination in mind. Let’s presume you don’t know where you want to go and to be honest, you are not bothered, so long as it’s cheap and you get away! If I am just looking for a cheap holiday or weekend break, I always find the best way to get one is by simply visiting a few websites and seeing what cheap flights are on offer. The first thing I normally do is check to see if the low budget airlines have any ‘Special Offers’ on. These low cost airlines generally have ‘Special Offers’ running throughout the year and if you are wanting to fly throughout Europe, the low cost airlines Europe are hard to beat on price, especially if you are only travelling with hand luggage. A quick visit to each one of the low budget airlines’ websites will quickly determine which have the best offers on at that one time. 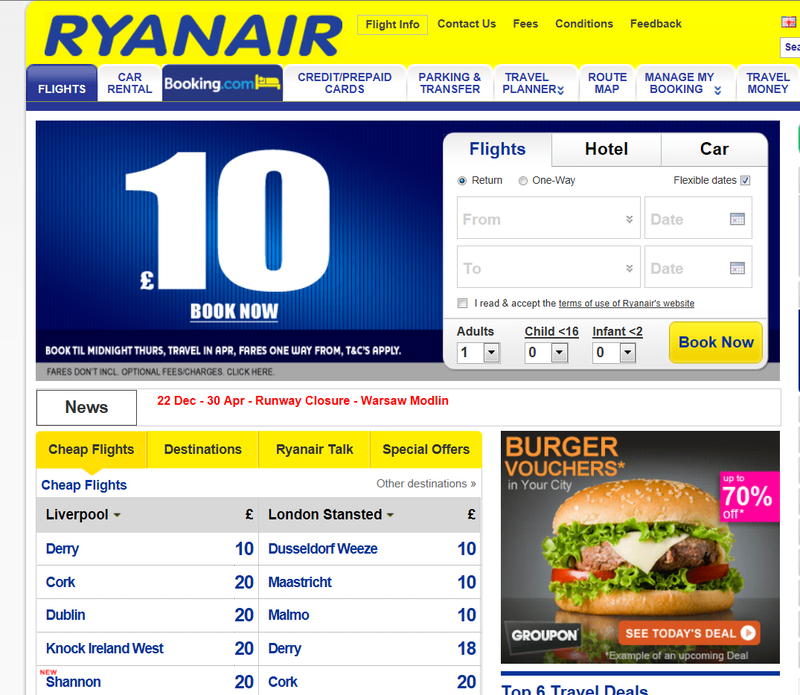 Ryanair, Easyjet, Jet2, Monarch and Flybe constantly have offers throughout the year and advertise these offers on their own websites. When you log on to their websites, you will see which offers are available at that time. It is then simply a matter of matching those offers with the dates and destinations you would prefer. It’s ‘Sods Law’ that whenever you want to fly to a specific destination the prices will be high! However, one of the easiest ways to find a good deal is to simply let the airlines dictate when and where you fly. Now to some people this may seem a little daunting but believe me, it is one of the best ways to get more flights for your money throughout the year and as a result, visit some great destinations. Yes, I appreciate that there are certain destinations that you may want to visit and these will obviously be your first choice if possible. If you are lucky enough to find cheap flights to one of these destinations that’s great but why pay ridiculously high prices for them? If there is no rush for you to visit any one of these destinations just be patient and wait until these destinations are on offer in the future. Doing this will not only save you money but will allow you to visit several different destination for the price it would have cost you for one flight to your first choice destination! I generally find that although there are certain destinations I would like to visit, waiting for these destinations to be on offer is the best way forward. Obviously, visiting every single airline website would take forever and even if you did have a little time to waste, I am sure you would soon get bored constantly typing the same information over and over again. 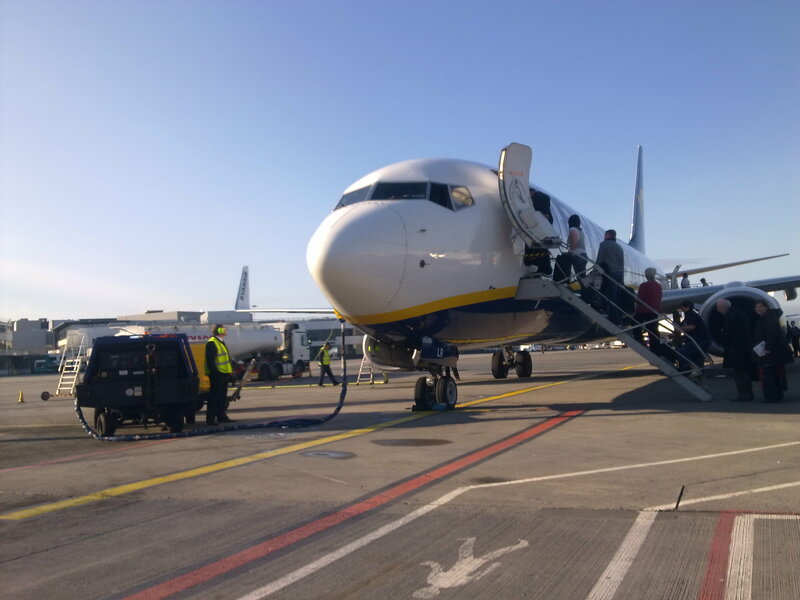 You could just visit the main low cost airlines such as Ryanair, Easyjet, Jet2, Flybe and Monarch and the chances are you will find some great deals. However, this would still take more time than you would probably want to spend searching. One of the best ways to save you time and hassle is to receive our FREE service that informs you when these airlines have special offers running. Our FREE service will keep you up to date with these offers. If you know where you want to go and are looking for the cheapest flights, the best way I find is to use one of the flight comparison websites. Flight comparison websites will search all the available flights from all the major airlines in seconds. This reduces the time you spend searching for your flights and eliminates having to visit each airlines websites individually and then having to type in your details each time. All you need to do is simply choose your dates, destination and the airports you can fly from in you country of origin. You generally get a choice of airports and some will allow you to search all the airports in regions such: North West, South West etc.. These websites are a great way for you to do a blanket search of all the airlines in seconds and then find out which can offer you the best flight deals for your desired destination. This method is great for pre-booking flights well in advance, especially if you wish to visit several destinations throughout the year. I use this method all the time and as a result manage to get some really cheap flights to the destinations I need to travel to. Remember, that with the low cost airlines, the earlier you book your flight, the better deal you generally receive. For Example: Throughout the Winter months I go to the Alps. I know which ski resorts are accessible from various airports, so all I need to do is book a cheap flight! I know that if I book in July/August I will certainly get several cheap flights for December, January, February, March and April and let’s face it, if you can pick up a flight for a few pounds each way including taxes and you never use the flight, you haven’t really lost that much have you? Milan Bergamo: If I get a cheap flight into Milan Bergamo, I can access plenty of great ski resorts in Italy. All I do is see which is the cheapest airport to fly into and then tailor make the holiday around that. Using the exact same principle for any other time of the year such as summer and New Year, will help you find cheap flights and then booking everything else will fall into place!